sunshine and whimsy. : fruit and veggie market. During my vacation a couple of weeks ago, I went to the fruit and veggie market. I'm sure it has a more official name than that, but I don't know what it is. All of the teachers just call it the Fruit and Veggie Market. It's basically a long hall of stalls with many vendors selling their products. The first thing that hit me when I walked in was the smell. Not so good. The second thing was how big it was. It seemed to stretch on forever. Obviously, you can buy fruits and vegetables there. And I did. I bought avocados, tomatoes, bananas, grapes, oranges, and clementines. (I guess technically those are all fruits.) 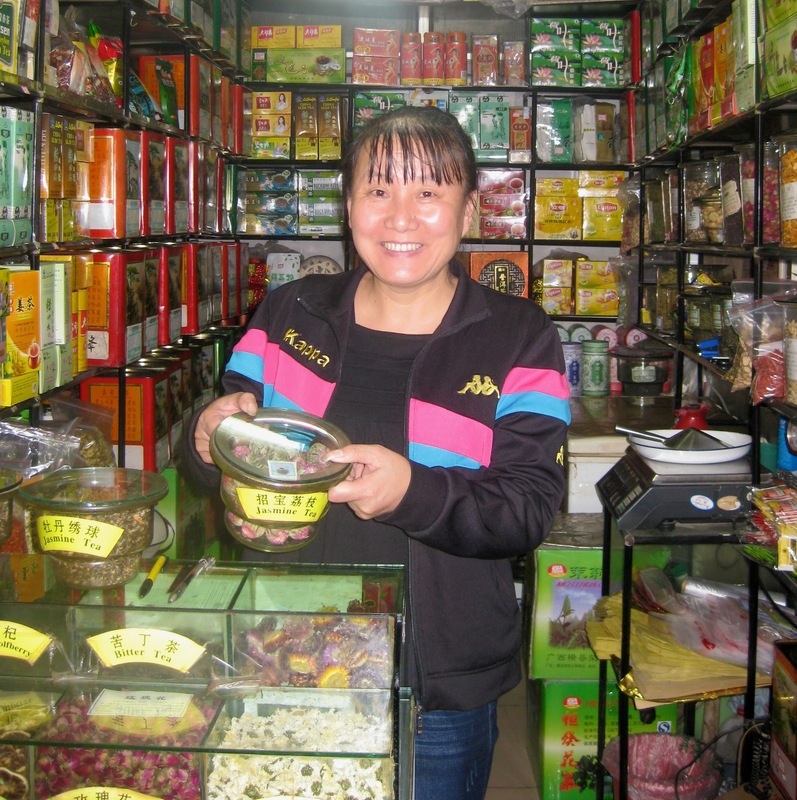 It was fun deciding what to buy, and I especially liked that the sellers let me taste their products. One of my favourite stalls was this one, where you could buy all kinds of dried fruit and nuts. The lady let me try anything I pointed at and I ended up buying banana chips, mango, pineapple, and some kind of sugared Chinese fruit. I have no idea what it is, but it reminds me of candy. This lady was really nice and could speak a fair amount of English. I bought lemon tea (just dried lemon slices) from her and when she heard my voice, she asked, "You have cold?" I did, so she gave me an individually wrapped tea thing and promised it would help. She said, "I give you this for free and then you come back next time." When she saw my camera, she got really excited and motioned for me to take her picture. And these two photos show why the smell was not so good. These stalls (and many others selling meat and seafood) were at the end that I first walked into. Luckily for me, I didn't see a sheep head like some of my friends did their first time there. But really, it wouldn't have shocked me. I probably just would have said, "Welcome to China." You can also buy dairy, cereal, peanut butter, etc. at the fruit and veggie market. It's about a 20-30 minute walk from where I live but it's worth it. They have seedless grapes and I haven't found those anywhere else.